The author Sri Hara Gopal is a retired bank officer. All the stories are written by the author, who is a bank employee, between 1970-1984. The stories are published in Telugu magazines of that time. The author has taken pains to collect all of them and bring out in a book shape. The book is released by Sri Akkineni Nageswara Rao garu. This book satisfies the long felt need of many readers to have a book with many short stories. 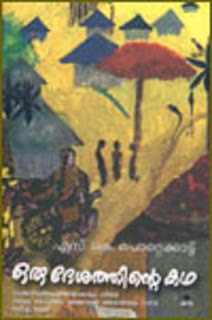 The book has 39 stories and one novel by name "(నవ్వినా కన్నీళ్ళే) " Navvinaa Kannelle". The famous top hit telugu movie "seetaramayya gari manavaraalu" is inspired by this fine story. Majority of the stories are based on middle class life people. There won't be any rich boy meets a poor girl type. In my view "ఆనందమే జీవిత మకరందం (Anandame Jeevita మకరందం) " story is the best one. It is about a man working in telegraph office. On one rainy night, he receives all telgrams with sad news and he gets disturbed to send all telegrams with bad news. At midnight he receives one message to be sent with a good news of marriage that of his close friend but with an unexpected twist at the end. The next story I liked is "ఎక్ష్ప్రెస్స్ ఆగదు - Express aagadu ". It is about an express train stopping in a very small station because of floods. Krishnaveni who is full pregnant, travelling with her husband seeks the help of asst station master,Lakshmipati. Lakshmipati loves her previously and sees her unexpectedly now. She delivers in his house. This story too has got a twist at the end which the reader cannot anticipate. "వయసు విచక్షణ - Vayasu vichakshana " story is about an 18 year old daughter Rajani and her father Ramarao. Ramarao's wife expired when his daughter is very young. He brings up his daughter very lovingly. He does not remarry for the sake of his daughter. If the story is told completly now the beauty will be lost. The story "ఢిల్లీ వెళ్ళాలి - Delhi vellali " is full of comedy. In the two stories "రెండో వైపు - Rendo vypu " and "జాలీ ట్రిప్ - Jolly trip ", it is narrated how the owners loot the workers. The final twist in "సత్యభామ - satyabhaama " is also tough to expected by the readers. At the end one feels that they have missed such a good collection of stories up to now. It is worth reading.